Madeira is an historical island off the coast of Portugal. Its history as a traditional wine-producing region dates to the 15th century. Documents show that it was the wine enjoyed by Thomas Jefferson, George Washington, Alexander Hamilton, Benjamin Franklin and John Adams. The Founding Fathers toasted with Madeira during the signing of the Declaration of Independence in 1776. The island of Madeira is not large. It is 35 miles long and 14 miles wide with an approximate population of 260,000. There are only a small number of producers on the island, half of which have existed for more than 200 years [Pereira d’Oliveira (1820), Henriques & Henriques (1850), Justinos (1870), HM Borges (1877)]. The other producers are 70-100 years old [Madeira Wine Company (1913), Barbeito (1946), J. Faria & Filhos (1949)]. A volcanic subtropical island with mountainous terrain and an oceanic climate with tropical influences, it is not an easy place to grow grapes. And change is not something typical for the region. But, in 2013, Madeira Vintners, a new Madeira producer, was founded. This is the first new producer on the island since 1946. 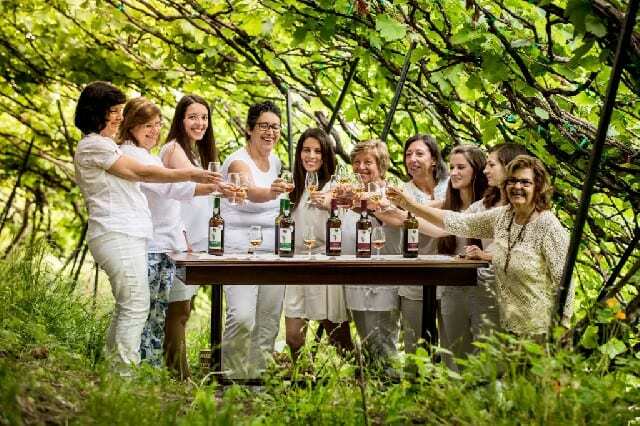 But what also makes Madeira Vintners all the more unique is that it is the Island’s first all-female team. Madeira Vintners was founded and funded by the Cooperativa Agricola do Funchal (CAF), a 19,000-member cooperative founded in 1951 and an integral part of the Island’s agro-economic development. Madeira Vintners, however, is not a cooperative. They own some vineyards, which are new, and purchase grapes from some of the island’s best growers. 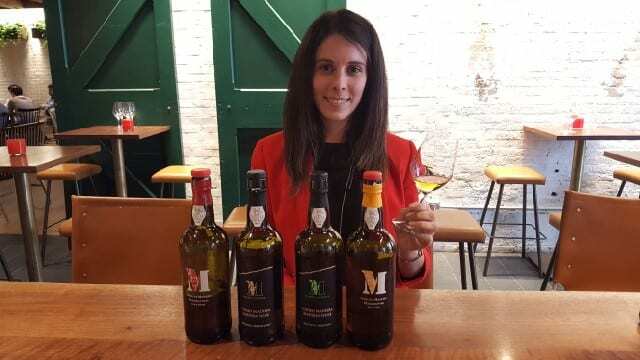 At the head of Madeira Vintners is Lisandra Gonçalves, a young enologist who was born in Madeira and received her degree in enology in Portugal. After internships in Algarve and Alentejo in Portugal, she spent two months in New Zealand. Upon completion of school, she worked in Tunim in France and returned to New Zealand before receiving a call to come home to Madeira. Gonçalves has been the winemaker at Madeira Vintners for two years. She is young and still has a lot to learn, but has found the experience open and welcoming. 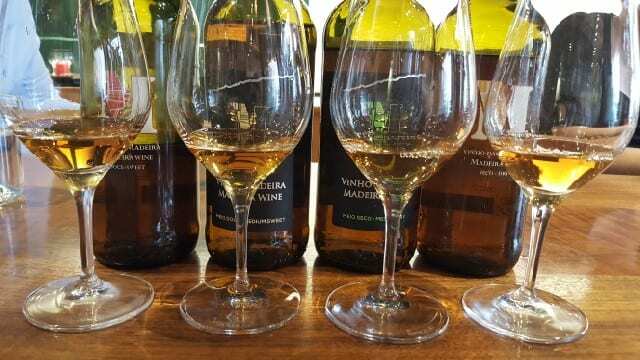 Despite 500-plus years of producing wine and being one of the oldest wine regions in the world, Madeira seems to be more progressive than many other regions. “Less generationally driven by patriarchal lines, Madeira seems to be open to age and gender,” explained Dale Sparks, founder of 220 Imports who imports Madeira Vintners into the U.S.
Last year, Gonçalves and her team realized that they were all women, 10 in total, including the agronomists, general manager, financial manager and marketing, sales and promotions team. At Madeira Vintners, Gonçalves is a solar-powered winery at hand and works with growers who have an organic focus. To keep the wines as natural as possible, she does not use any caramel additives, resulting in wines that are lighter in color than other Madeira wines. Gonçalves is making Madeira the same way as others, using estufa, a stainless-steel vat that heats the wine by circulating hot water in a jacket surrounding the tank, as well as American and French Oak. By law, the wine is heated to a temperature between 45-50 degrees Celsius, and Gonçalves slowly increases the temperature two degrees each day up to a maximum of 45 degrees over a two-month period. She is also keeping all of her wines at 17 percent alcohol, the minimum required level in Madeira. Madeira Vintners currently has four wines released. Each of the wines are three-year blends and there is Dry, Medium Dry, Medium Sweet and Sweet. Madeira Vintners Dry (sugar 54 g/l, acidity 5.2 gr/l) – Golden amber color, the wine has notes of dry fruit, orange peel and honey, with a mouth-watering finish that hits the back of the palate and lingers. Madeira Vintners Medium Dry (sugar 73 g/l, acidity 5.94 g/l) – A soft amber color, this wine has notes of tangerine, orange, nuts and dry figs and has a long finish that sits in mid palate. Madeira Vintners Medium Sweet (sugar 94 g/l, acidity 5.94 g/l) – With aromas of orange peel and citrus, this wine is bright and rich on the front palate. Madeira Vintners Sweet (sugar 116 g/l, acidity 5.58 g/l) – A slightly darker color than the other wines, the searing, linear acidity cuts through the sugar of this wine and the result is pure deliciousness. Madeira Vintners may be young but they are energizing the Madeira category. If you are a fan of Madeira already, these wines may not be what you are expecting but they are quite tasty. And, the wines all retail for $20, an amazing value. Pick up a few bottles and see how well Madeira pairs with seafood, meats, nuts, cheeses and desserts. This entry was posted in Lifestyle, Wine and tagged CAF Madeira Wine, female winemakers, Lisandra Gonçalves, Madeira, Napa Valley Register, Portugal, Wine, women in wine, women winemakers by Allison Levine.